This Headache Racks fits for: Ram 3500; Ram 2500; Dodge Ram 2500; Dodge Ram 3500; Ram 1500. The general idea of the car grille is to protect the vehicle from various damages. It plays a crucial role in preventing the radiator overheating that can cause the huge engine breakdown. If we talk about custom grille it’s more than just a typical car detail. It’s a chance to customize automobile, to make it look different and unique. In terms of the design and application, there are plenty of grilles available on the market. The most popular one is the radiator grille that is placed on the front part. Also you can find grilles for roof, tank and even the fender grilles. There are millions of cars manufactured each week and it’s a high chance that your colleague or neighbour will have the same auto. That’s why there are drivers that want to stand out from the crowd and tend to customize their vehicles. The T-rex will help you to upgrade your car to the completely new image. Your vehicle won’t be the same as thousands manufactured. Furthermore, the fact of having something exclusive will boost your self-confidence. 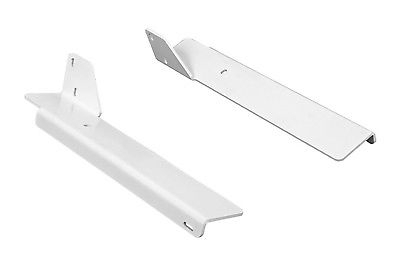 Custom Dee Zee 95061 Cab Rack Light Mount Bracket 7" x 2"